...are bomb with tater tots, waffle fries, BBQ sauce and ketchup! Vegan junk food is the best. That looks like a plate of deliciousness! 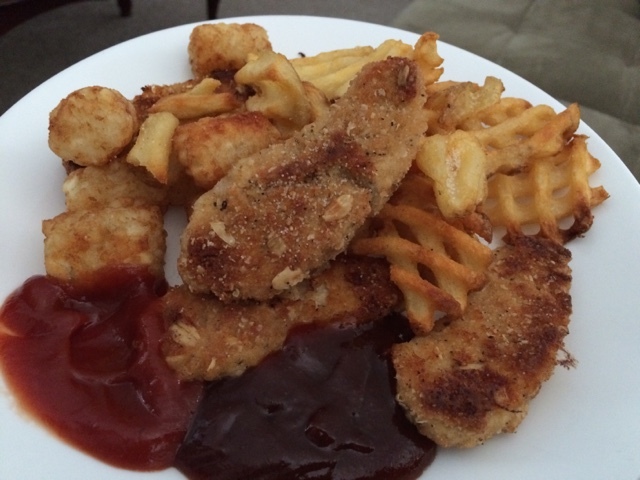 I recently have gone gluten free due to a condition, and I miss Gardein so so much! And waffle fries are the best!